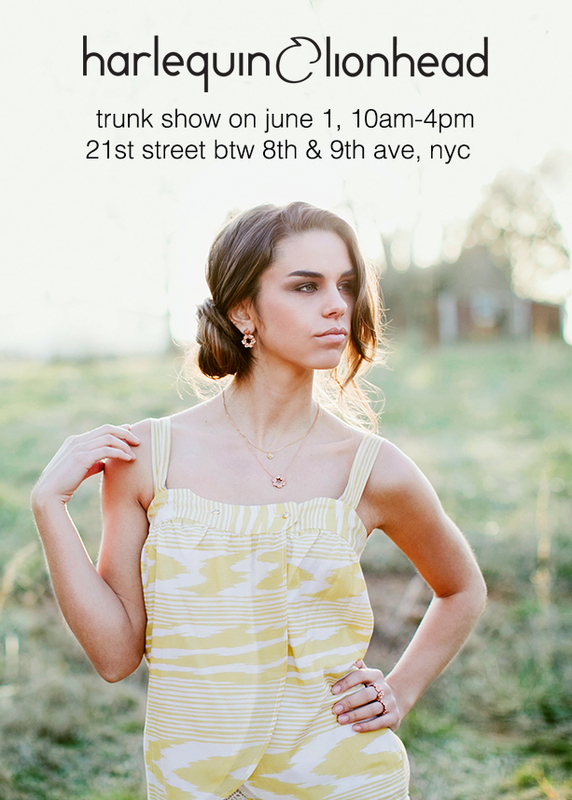 Come say hi at my trunk show at Hester Street this Sat and next. 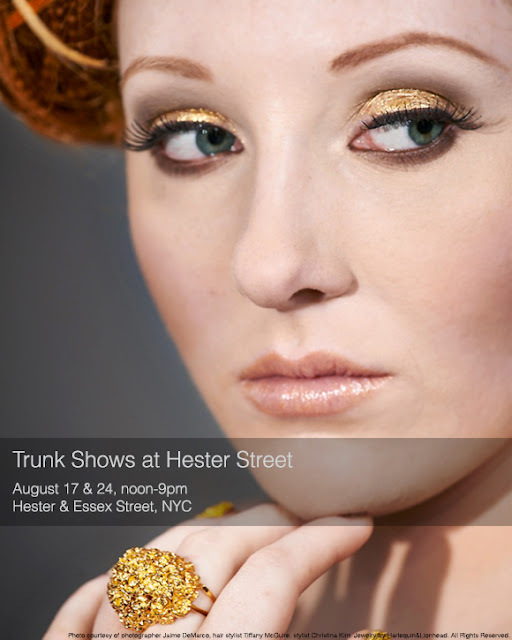 Hester Street August hour is actually from noon-10pm with live DJ and special events. But I'll be there up to 9pm only. If you are in New York, look for me and beautiful art here! 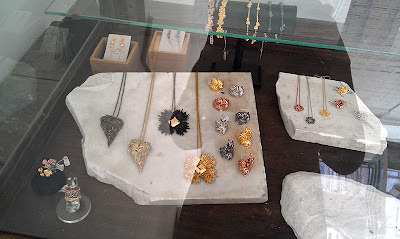 If you have been reading my post, you probably have heard about my retail anchor in Park Slope, Brooklyn. It was called Urban Alchemist and here was the post about it. The lovely boutique has been there since 2008 but unfortunately due to the economy, it could not survive on its own. 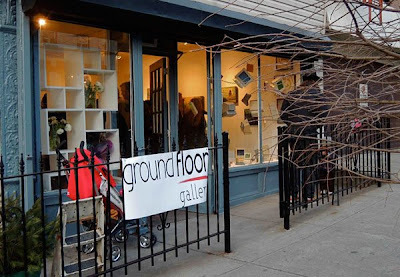 So now the place is transformed by 2 talented ladies into an art gallery called Ground Floor Gallery, and Urban Alchemist takes up a corner of the gallery as its gift store. 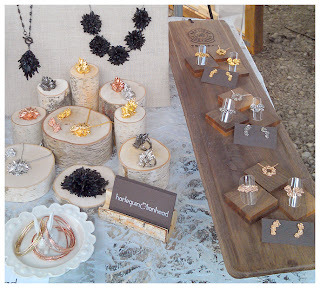 A selection of my Harlequin&Lionhead jewelry is available for purchase there! 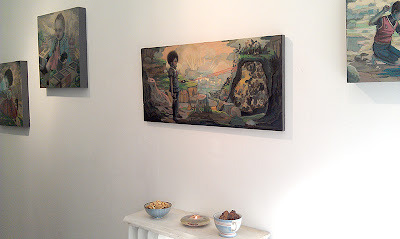 I have been to the gallery opening last week and took some pics. You can also see a post about the gallery on the Daily News here. Temporary signage outside of the gallery. 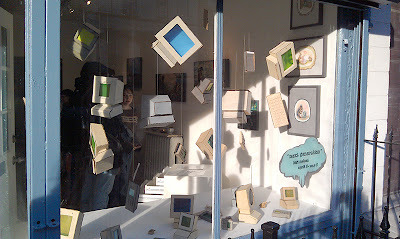 The window installation (the computers) is created by one of the artist, Lori Nelson. Her art, as you will see below, has a strong theme evolving the digital world. The window installation to promote Lori Nelson's exhibition of "Next Generation"
My crappy photo of Lori's exhibition. Click to visit her website. I love June Glasson's interaction driven pieces. She has a few paintings on display. 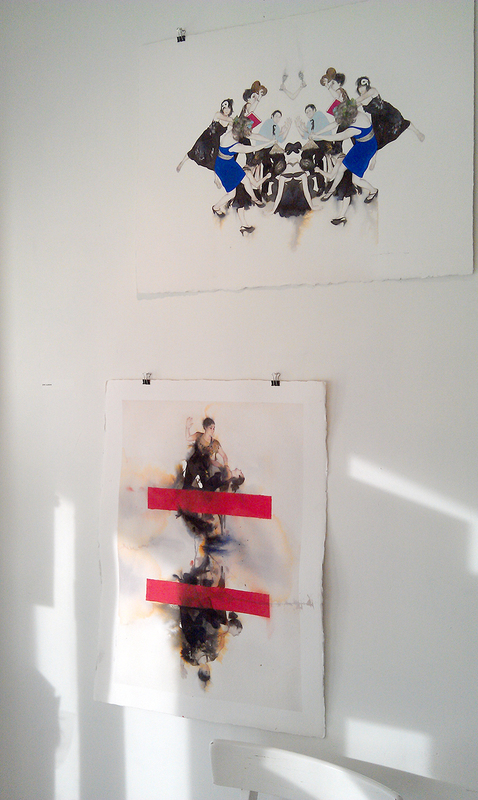 Evan Venegas's Emodata is on display as well. 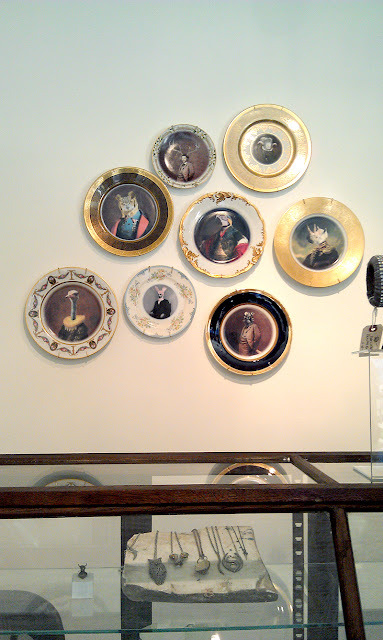 At the Urban Alchemist corner, you can see a beautiful collection of picture plates by Angela Rossi or Beat Up Creations. 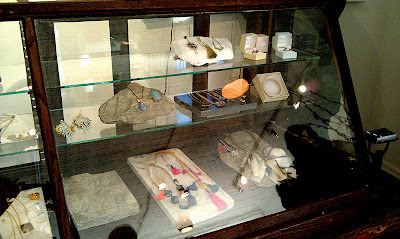 Under the picture plates is the jewelry case showcasing some of the previous jewelry selections at the Urban Alchemist full scale store. 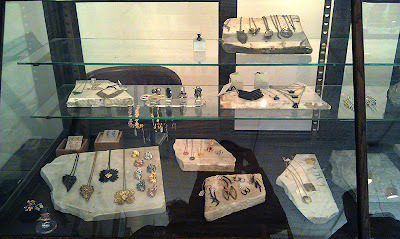 Here you can find the best of the Eswera designs by Imaan Selim. 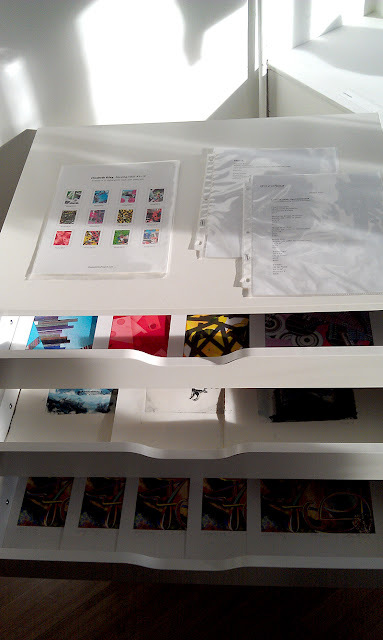 And some other designers including your truly, Harlequin&Lionhead! Selected pieces from my Harlequin&Lionhead collections. Including all-time-best-seller, Rose Adjustable Rings and Rose Wreath Rings, Whirls #1 and #2 rings, Whirls #6 and #7 pendant necklaces. And new addition the Long Stem Rose Dangle earrings. 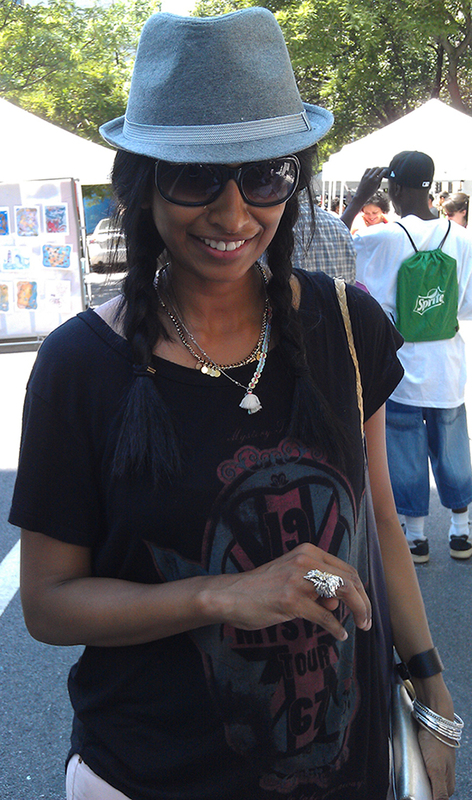 And my personal fav Rose bangles. 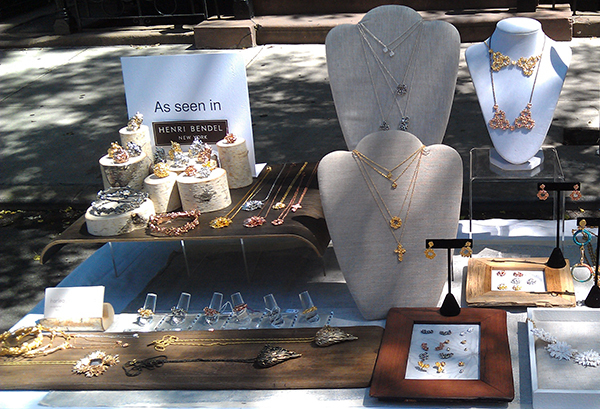 The pieces that makes lovely gifts, the Rose Wreath pendants and the Whirls #5 rings. Unfortunately due to space limitation, all the rings I have there are all size 7. If you happens to hop by and see anything you like and want it in a different size, just leave a message at the store or email me and I'll send other sizes over for you! 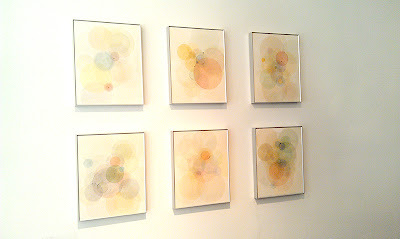 The Gloor Floor Gallery opens Fri-Sun, from noon-7pm. At any day you can find one of two brilliant ladies, Jill or Krista there. Buy local and support individual artists!